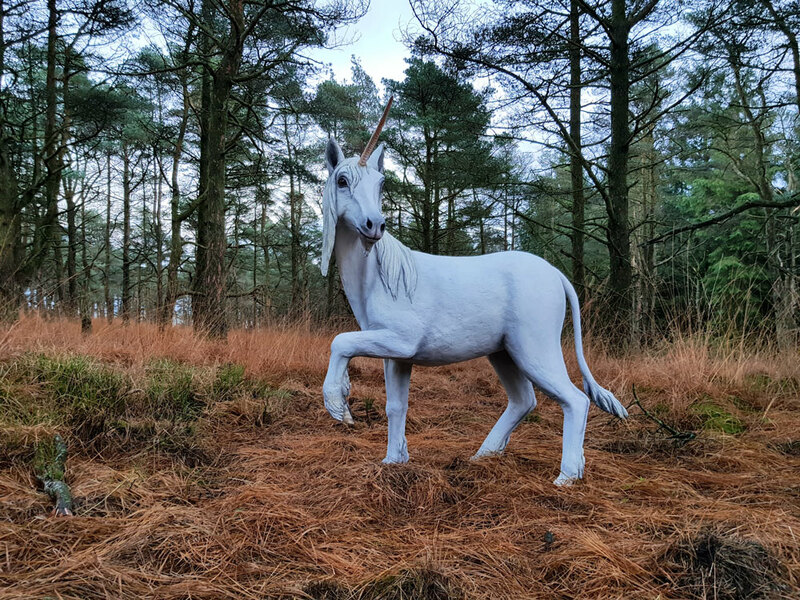 If you’ve been for a wander around the Pendle Sculpture Trail recently you may have noticed a majestic white unicorn standing proudly in the middle of the woods. She’s the work of Barnoldswick-based duo Victoria Morris and Lee Nicholson who together run sculpture company, Incredible Creations. As well as creations for the Pendle Sculpture Trail in Barley, they’ve also made a climbable dragon and smaller sculptures perfect for in the home or garden! Colne-born Victoria has always been a keen artist: “I’ve always followed art throughout my life. I worked at Blackpool Pleasure Beach making sculptures including the dragon above the ghost train and some paintings in the Haunted Swing. Then, I came back here and found a job at Entre-Prises, a local climbing wall company in Kelbrook and that’s where I met Lee.” Lee had been at the company for 19 years but decided to go it alone with Victoria and together they opened Incredible Creations in August 2017. “We make a selection of things –from small ornaments through to sculptures. We’re also aiming to create a range of climbing wall features as well – including a dinosaur,” says Victoria. “Can you imagine taking your kids to go climb on the T-Rex, it would be brilliant!” Lee laughs. 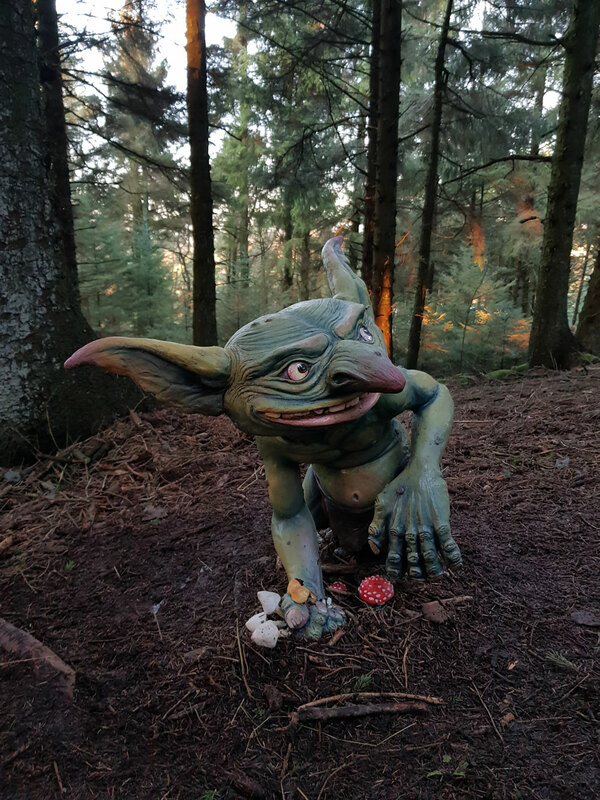 However, away from climbing sculptures, the pair have been busy creating mystical creatures for the Pendle Sculpture Trail. Zeta was the pair’s first creation, a climbable dragon. 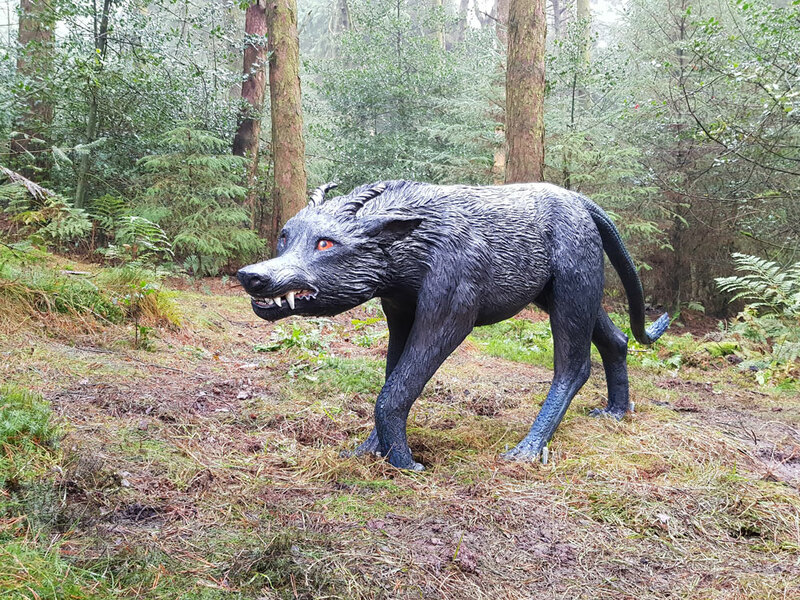 She didn’t make her way to the sculpture trail so she’s living outside their workshop in Barnoldswick, however the mystical creatures appeared in November 2018. 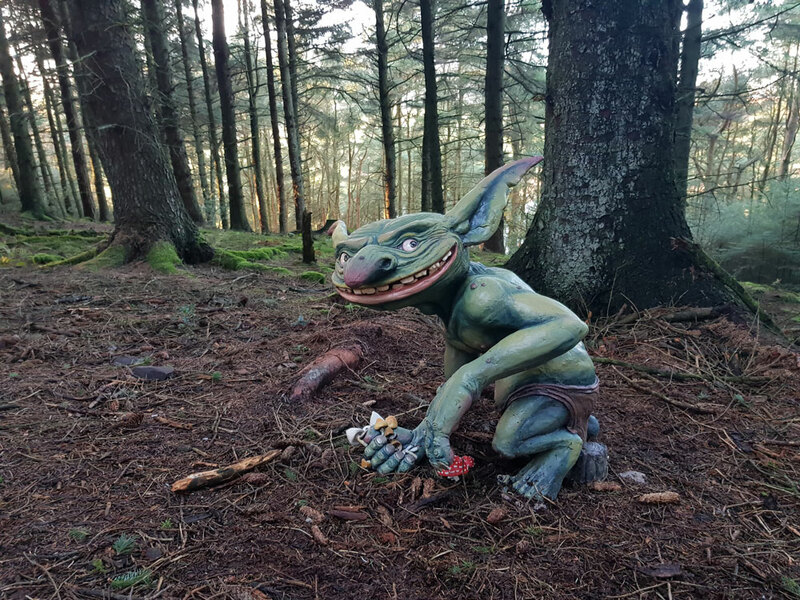 “[Pendle Council] are creating an app for the sculpture trail, but it’s been suggested we could do one as each of our characters have a poem and that poem is written in the voice of the character, so we suggested we could get them voiced,” Lee adds. Sculpture trails are popping up throughout the country and inspiring thousands of people of all generations. I wondered if Lee and Victoria found it important for families to get out and appreciating art? “Not only that, it’s important for kids nowadays to get off their consoles and phones,” Lee sighs. Lee continues to explain that while they were recently up there, in just two and half hours they saw constant stream of families. The thought of someone jumping on a sculpture in an art trail makes me sit up a little straighter but Lee and Victoria are surprisingly cool with it. Phew! Well, at least they aren’t going to break. Although we wouldn’t recommend climbing up them for safety reasons. So how do they make the sculptures? One of the most unique aspects of their sculptures are the glass eyes. “It’s something we want to keep in all our sculptures as it gives them life. It looks like they are watching you!” Beams Victoria. With so many projects going on and a range of creations, I wondered where the duo get their inspiration from. The pair were also inspired by tales of a black dog (Shuck) between Todmorden and Burnley hence their black dog sculpture. And now you can thanks to Pendle Council making use of unused United Utilities land where the sculpture trail is. It’s a dream come true for Lee and Victoria to see people enjoying the work they love so much. “It’s great job satisfaction,” Victoria grins. The pair are now working on new projects including eggs ‘from Zeta’ which can be bought on their Etsy store, their climbing works and bespoke works for people who want a sculpture in their home or garden. 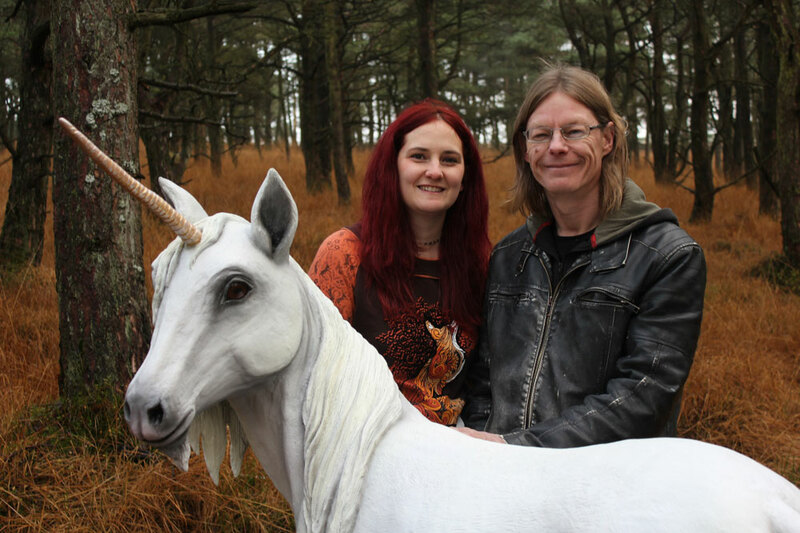 With more sculptures no doubt coming, some incredible dragons to climb on and a true passion for the creatures they create, we can’t wait to see what Lee and Victoria get up to next. 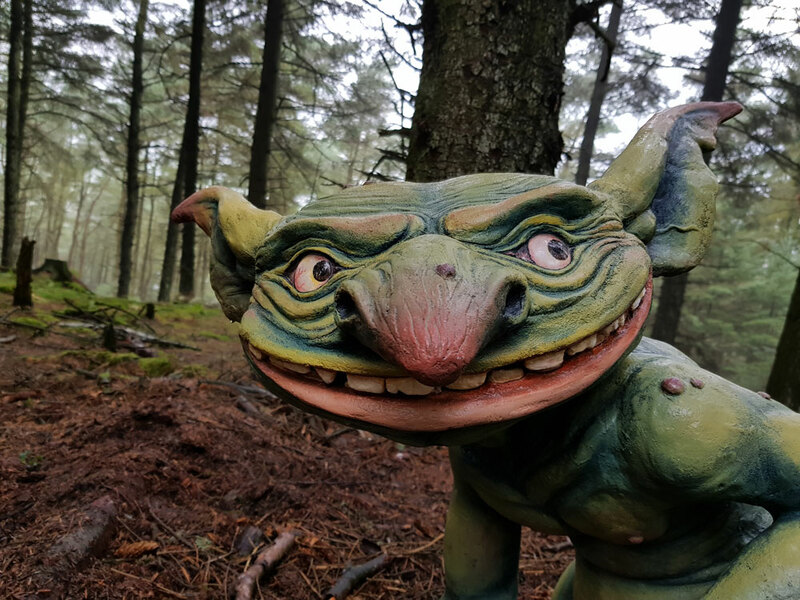 If you want to see their mythical creatures, head to the Pendle Sculpture Trail in Barley (which we’re reliably informed will have some exciting new additions this spring!) or for more information on their other work head to their website incredible-creations.com. Previous articleOutstanding elderly care homes in the north west – what makes them the best?